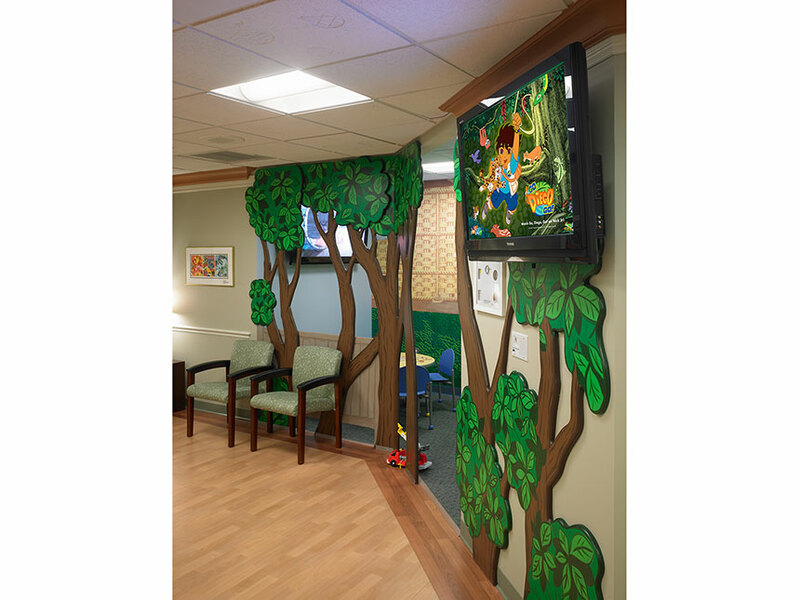 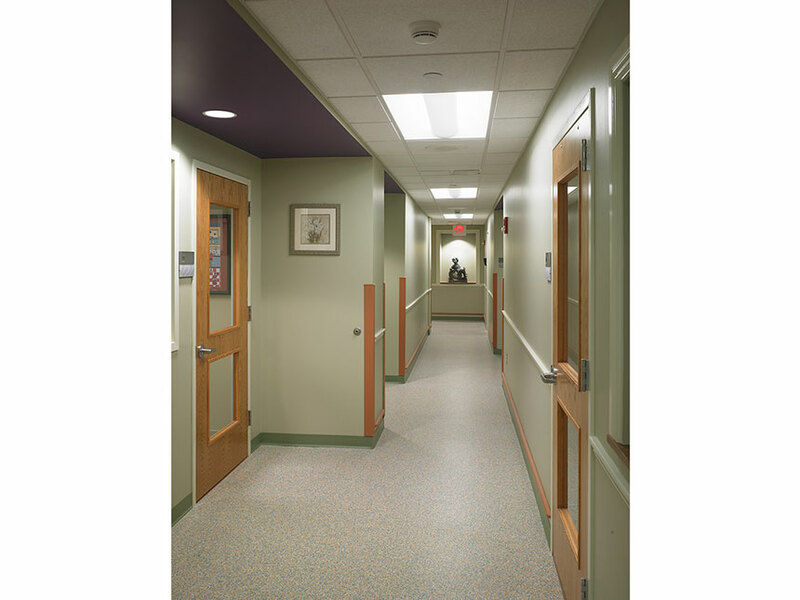 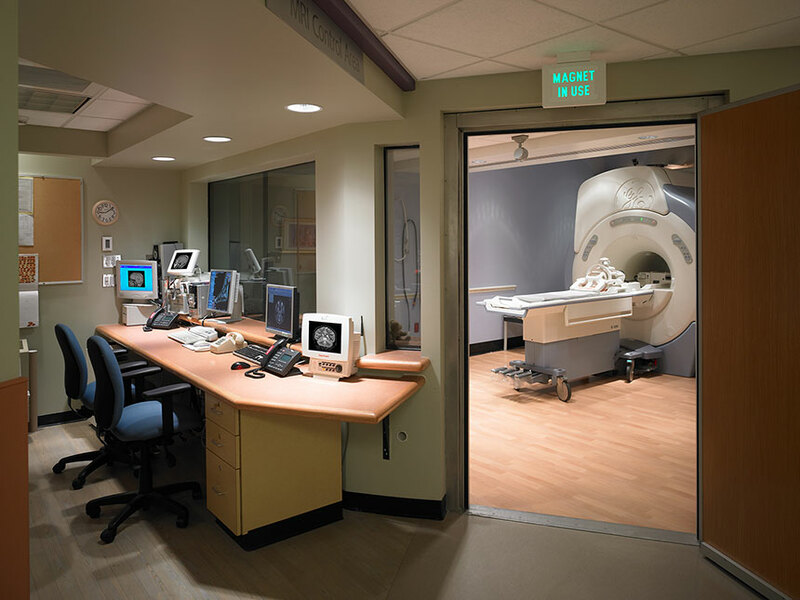 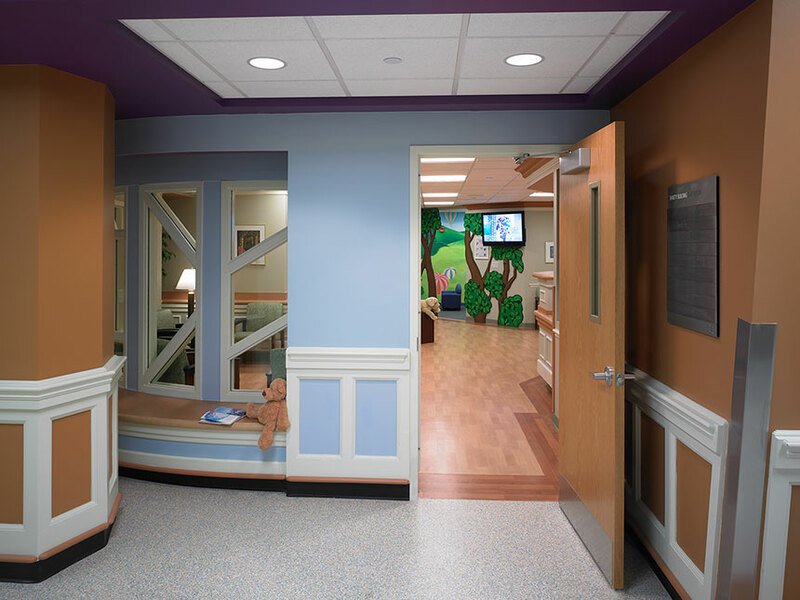 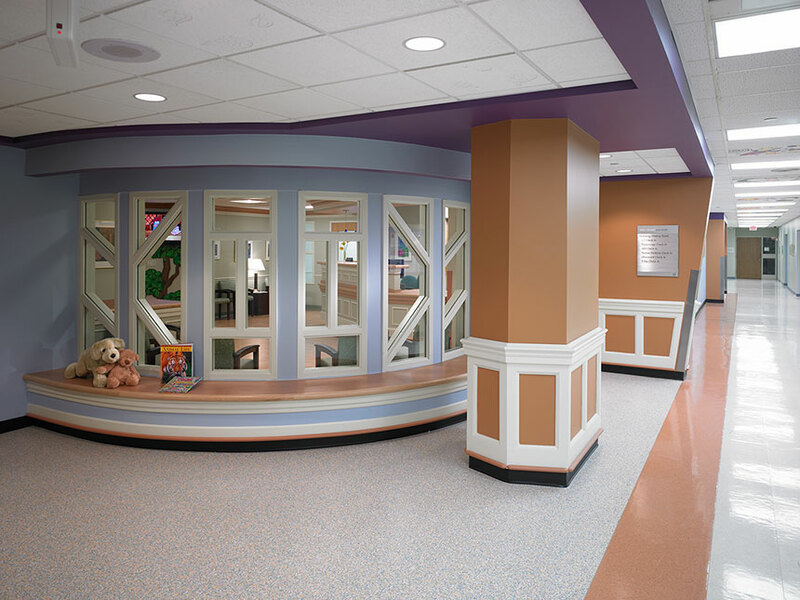 This project was a children’s MRI suite renovation with supporting clerical work space, a reception area, and administrative offices. 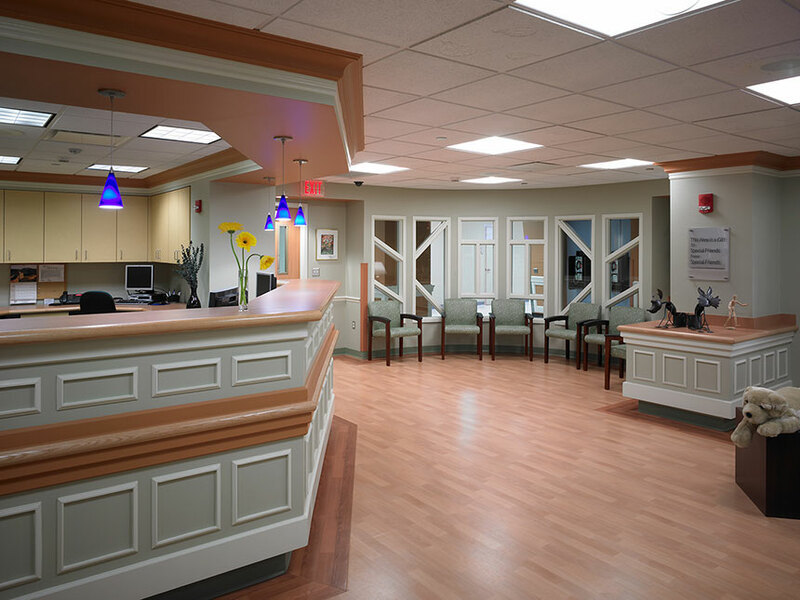 Our goals were to create a more efficient workspace and patient flow, and an environment that would increase patient satisfaction. 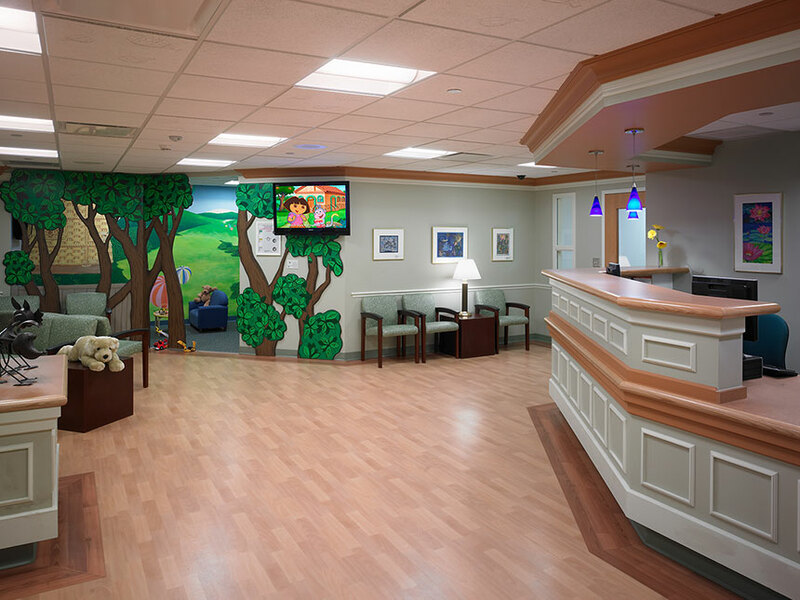 The result was a soothing and relaxing environment for adults as well as areas for children to play.